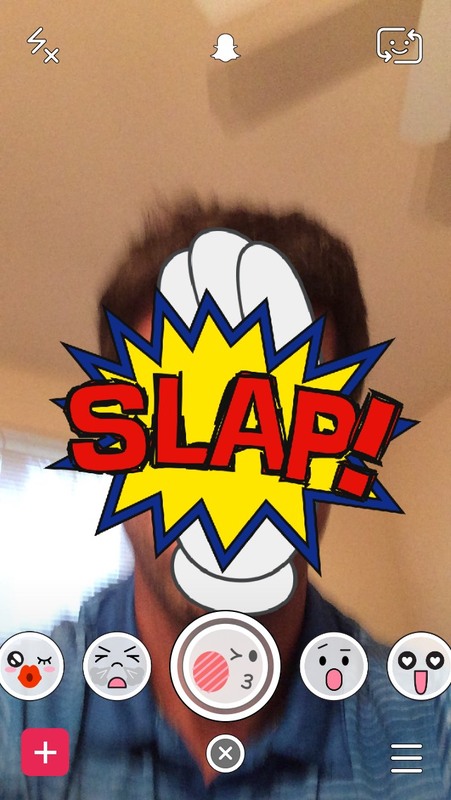 Home › Snapchat Selfie Filters › How Do I Get the Snapchat Slap Selfie Filter? How Do I Get the Snapchat Slap Selfie Filter? I thought this one was very well done. Most of my friends agree with me. Is this one of your favorite Snapchat selfie filters so far? Do you think they should leave it on the list of seven for quite some time? How Do I Get the Snapchat Bull Snorting Smoke Selfie Filter? | How Do I Get the Snapchat Crazy Heart Eyes and Tongue Selfie Filter?